Out with the old, in with the new. Sort of, anyway. While the big story of the last few years has been barely-there barefoot and minimalist shoes, this year begins the backlash of increased cushioning. It's not that there wasn't a lot gained from the boom of minimalism. In fact, many runners who were initially inspired by Chris McDougall's best-selling Born to Run are still out there, cruising around the parks in their Vibram FiveFingers, marked by their shorter strides and forefoot striking. Just as many, perhaps, went too hard too soon, and were injured. 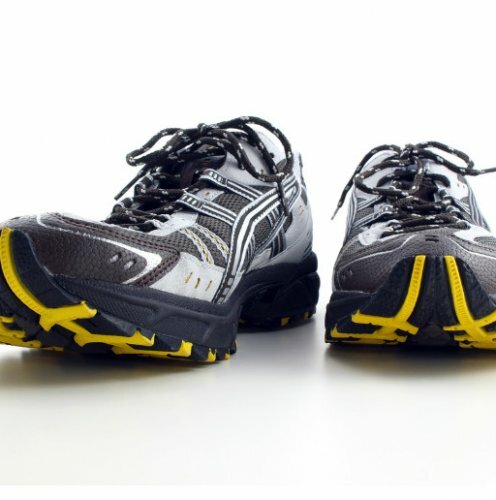 Those runners are now flocking towards a new category created by shoe companies to fill the gap between minimalist shoes and their overbuilt, over-cushioned ancestors, which we're simply calling "lightweight." Companies like New Balance and Brooks realized they could strip away a whole lot (think decorative features and heavy plastic lace grommets) and produce a much sleeker, lighter-weight shoe with substantial cushioning. And because they're made in nearly every configuration—zero heel-to-toe drop up to 10mm or more, with cushioning portioned out for heel-, midfoot- and forefoot-strikers—to custom-fit most every style of running, these shoes are allowing runners to find the perfect Cinderella shoe that will take them farther and faster than ever before. We've evaluated the whole lot of them—barefoot/minimalist, lightweight, neutral, stability and motion control shoes for road and the trail—to bring you this year's 25 best. Now, we recognize that "best" is a highly subjective term, especially where running shoes are concerned. Every runner has unique feet and, for the most part, a stride all his or her own (trust us…you can spot a running partner a mile away by stride). That's why, in the end, there are so many categories and configurations of shoes (check out our guide to the categories, if you're not sure what's right for you). We wanted our picks to span the full spectrum, from the stripped-down, zero-drop, virtually cushion-free 5.6-ounce Brooks PureDrift on up to the same company's aptly named 14-ounce Brooks Beast, a long-time leader for runners who need the utmost in support and stability. We believe these shoes represent the best in their respective categories. We selected them from a combination of personal tests, consumer review sites and reviews by other leading running media, and included them based on price, quality of materials, consumer reviews and (other factors aside) likelihood that they'll fit the widest array of runners. We'll leave you with a word of caution: Our list is meant as a buyer's guide, but it doesn't substitute for personal trial. Before buying your next pair of kicks, head to your local running store and take a few for a spin.